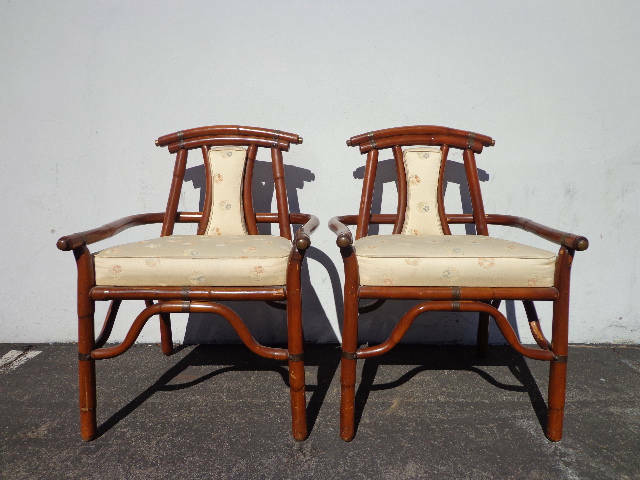 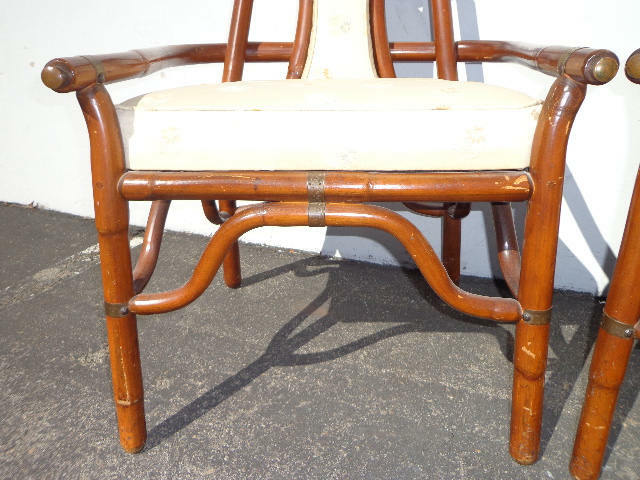 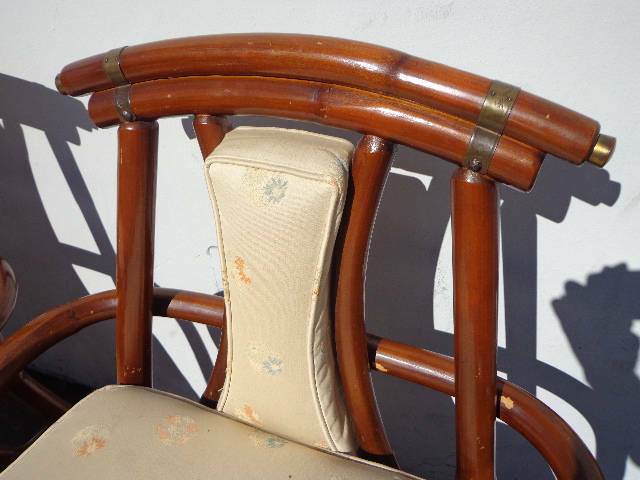 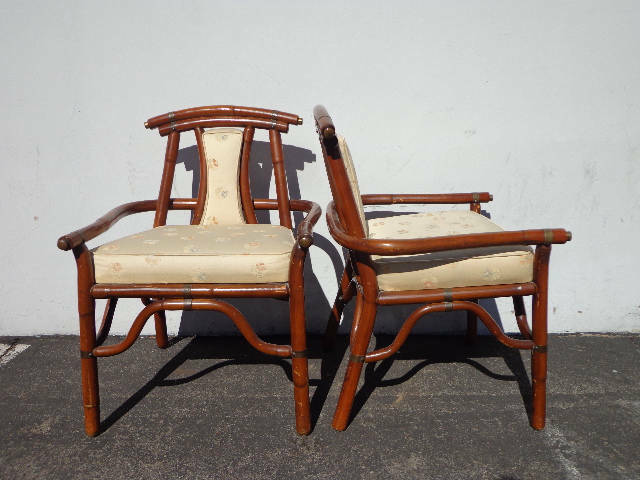 Rare Set of Faux Bamboo Chinoiserie Armchairs by reputable Ritts Furniture. 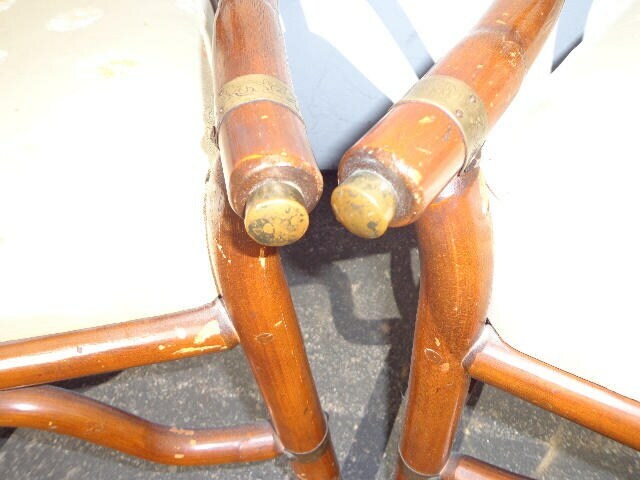 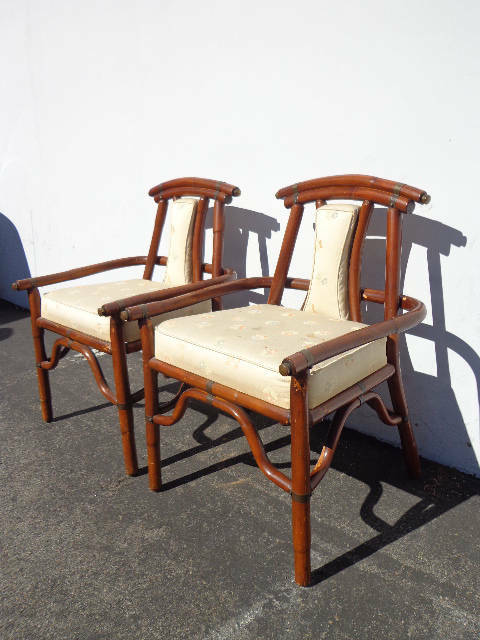 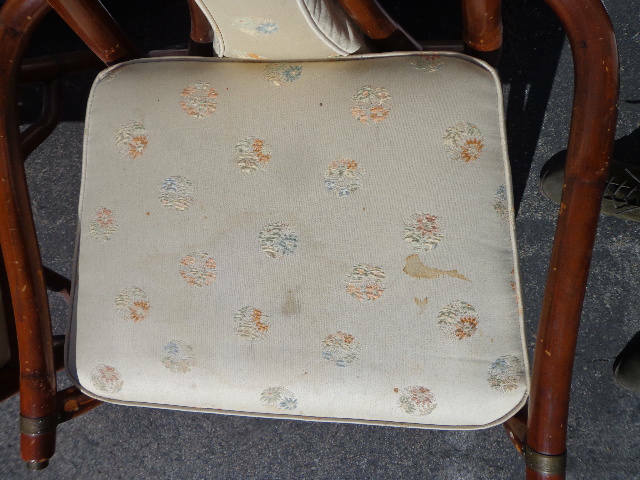 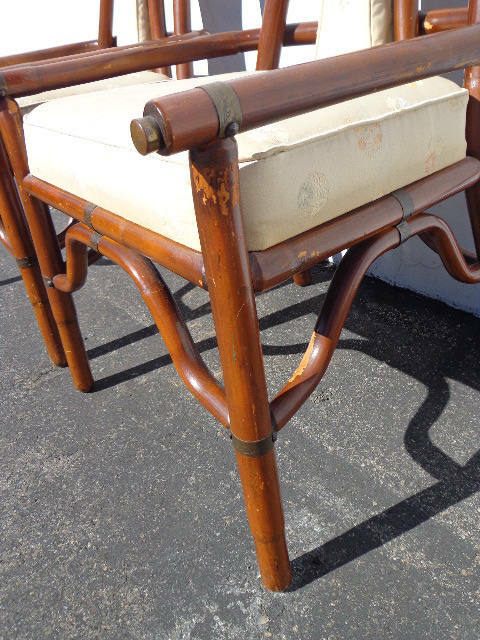 Wonderful set of vintage lounge chairs with wood frames, brass accents, and the original upholstery. 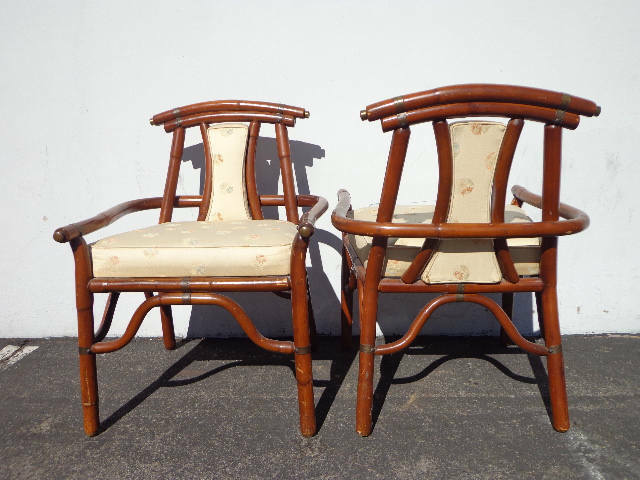 These are both in overall good vintage condition and show wear from age/use. 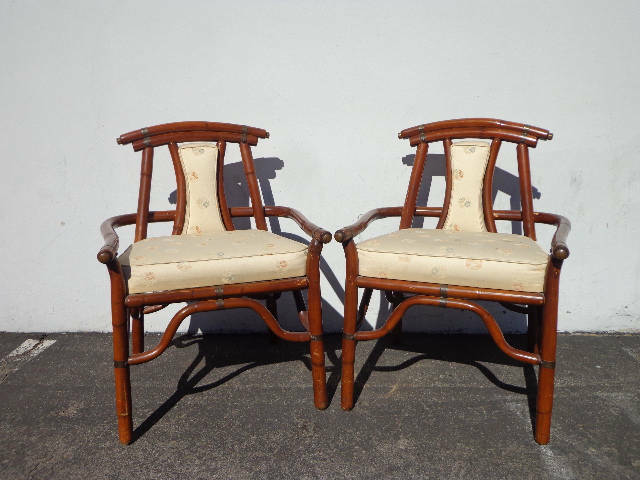 Perfect pair to place anywhere and will blend in with many decors.